Those words were first spoken by Martin Luther King Jr., and many have repeated them. But it takes integrity to live by them, especially when hate has touched you in the most profound way. Yet, that’s exactly what the families of Deah Barakat, Yusor Abu-Salha, and Razan Abu-Salha have done again and again since February 2015, when these three promising Muslim students were senselessly murdered by an angry white neighbor. The crime not only ripped a hole in their families and deprived the world of three wonderful people, it terrorized the entire Muslim community. To make it worse, since the murders, their loved ones have been targeted with hateful slurs. Their response has been to ensure that the legacy of their beautiful children will be one of love, not hate. They opened a community center for young Muslim people in a house that Barakat once owned. They started an annual interfaith food drive in the victims’ honor. Just this week, they traveled to Washington D.C. to share their story at a Congressional hearing on hate crimes. And then Thursday, when the Durham district attorney announced that she would not seek the death penalty against their killer, the victims’ brother, Farris Barakat, stood before a crowd of reporters and expressed the family’s support for the decision. He cited those words from Dr. King and acknowledged that nothing that happens in a courtroom can ever bring true “closure” for their loss. The myth of the death penalty is that it has a magical power to bring closure to grieving families. But the truth is that it only stokes more hate and anger. It only creates more grieving families. It only brings more darkness into our world. D.A. Satana Deberry explained that removing the death penalty from the picture would allow the trial – already overdue – to proceed without delay. Deberry made the right decision in this difficult case, one that should be an example for other prosecutors dealing with painful crimes. The death penalty delays and extends trials and appeals, making them more painful for all involved. And, for all that, only a tiny fraction of cases ever result in execution. Deberry also said that bringing the case to trial quickly will allow the family to begin to heal. It’s clear they’ve already begun that difficult work. Their actions this week were yet another step toward ensuring that the memories of their loved ones will be beacons of love and hope, rather than catalysts for hatred and death. In today’s world, it’s easy to think politicians on both sides of the aisle care only about their own power and reelection chances. But every once in a while, we see an act of moral leadership that renews our faith in government. This week, it happened in California. Gov. Gavin Newsom announced that he would dismantle the death chamber and grant the state’s nearly 750 death row inmates a reprieve. They will remain incarcerated but will no longer live under the threat of execution. It was a stunning move in a state with the nation’s largest death row. What’s more, Newsom didn’t just couch his decision in the safe terms of how much money it would save the state —billions — or how hopelessly backlogged the state’s death penalty machine was. Since 1976, California has sentenced hundreds of people to death yet carried out 13 executions. He also made a strong moral argument against the death penalty. Watch Newsom’s full speech here. North Carolina faces a very similar situation. Like California, we have not executed anyone since 2006. We have one of the country’s largest death rows, made up mostly of people tried decades ago. Nine innocent people have been exonerated after being sentenced to die, and more claims of innocence are under investigation. Our state has spent millions on the death penalty and executed just a few dozen people, offering the ultimate punishment to only a tiny handful of victims’ families. And if North Carolina were to resume executions, at the rate of one a week, it would take us nearly three years to kill all the people on death row — a macabre spectacle. North Carolina, too, should make the enlightened choice to put an official end to the death penalty. There are better ways to do justice and bring comfort to the families of victims. And there are better ways to show that killing is wrong. Sometimes, the fight to end the death penalty can feel like a long, slow slog. But we’ve got good news. We are winning! In 2018, for the second year in a row, juries didn’t hand down any new death sentences. Two years in a row of no new death sentences? That’s never happened before. We shouldn’t underestimate how significant that is in a state that, in the 1990s, sent dozens of people to death row every year. For the twelfth year in a row, no executions were carried out in 2018. Even our state’s district attorneys have begun to flag in their enthusiasm for death sentences. Only three counties (out of 100!) held death penalty trials this year. In Buncombe County, District Attorney Todd Williams is going a step further. He has begun reevaluating decades-old death sentences — and when he finds that the defendant got an unfair trial, he agrees to stop seeking execution and allow the person to serve life without parole instead. As this year comes to a close, 140 people remain on death row in North Carolina. Their lives depend on us continuing to fight — and continuing to win. Last week, Washington became the 20th state to end the death penalty after its Supreme Court ruled that capital punishment is arbitrary and racially biased. If those are reasons to outlaw the death penalty, then it is surely time for the North Carolina death penalty to go. How much more proof can you ask for that the death penalty is racist and arbitrary in our state? More than 63 percent of North Carolina’s death 141 row prisoners are people of color, even though they make up less than 30 percent of the state population. More than two dozen of the people on death row were sentenced to die by all-white juries. A comprehensive statistical study found that defendants who kill white victims are more likely to get the death penalty, and that across the state, African American citizens are systematically, and illegally, excluded from capital juries. If that’s not enough, let’s talk about arbitrariness. A new report from the Center for Death Penalty Litigation shows that most of the people on N.C. death row are only there because they had the bad luck to be tried under outdated laws, before there were basic legal protections to ensure fairness at their trials. Had they been tried under modern laws, most wouldn’t be on death row today. Watch the story of Nathan Bowie, who because there was no indigent defense agency at the time of his trial, ended up with an alcoholic lawyer who came to court drunk. Today, after the enactment of many reforms, only a handful of people each year face capital trials. Yet, the selection of that handful remains arbitrary. It has more to do with the practices of the local DA, the county where the crime occurred, and the defendant’s willingness to accept a plea bargain than it does with the severity of the crime. Across the country, people have become unwilling to ignore the obviousness unfairness that infects the death penalty. Last week, Washington admitted the truth about its death penalty. It’s time for North Carolina to do the same. After 12 years without an execution, many people believe the North Carolina death penalty is dead. That might be true — if it weren’t for the more than 140 people still on death row. Our state continues to spend millions every year fighting to execute those men and women, even though the vast majority of them were sentenced decades ago under outdated laws and standards of justice. If they had been tried in modern times, most would never have received the death penalty. This week, a new report from the Center for Death Penalty Litigation exposes just how unfair many of those sentences are by today’s standards. About three-quarters of N.C.’s death row inmates were tried in the 1990s, before a slate of reforms were enacted to protect defendants’ basic rights and prevent wrongful convictions. CDPL’s engaging and easy-to-read report is full of facts and true stories from death row that will change how you think about the death penalty. Read it here. Just three people have been sentenced to death in North Carolina in the past five years. But even with the number of death sentences slowed to a trickle, our state still can’t get it right. Last week, the N.C. Supreme Court overturned the sentence of Juan Rodriguez, who was sentenced to death in 2014 in Forsyth County. The court said there was ample evidence that Rodriguez had intellectual disabilities and mental illness that impaired his ability to understand his actions or make rational decisions — factors that should have moved the jury to spare him from the death penalty. Yet, the jury was not instructed to consider Rodriguez’s serious intellectual and mental disabilities. Had they been told to take them into account, the court said, there is a good chance they would have voted to spare Rodriguez’s life. Rodriguez will now get a new sentencing hearing, and another chance to prove that he is legally ineligible for the death penalty. Rodriguez grew up in severe poverty in El Salvador during a bloody civil war. As a young child he endured gun fights and bomb blasts and saw dead bodies on his way to school. He was frequently hungry, had little or no medical care, and was exposed to pesticides and contaminated water. When he was 16 years old, his brother was killed by guerrillas after joining the army and Rodriguez had to retrieve his brother’s body and bring it home. He scored just 61 on an IQ test, placing him in the lowest 2 percent of the population. Experts say he suffers from lifelong disabilities, made worse by the trauma he endured as a child. Rodriguez was convicted of killing his estranged wife, Maria Rodriguez, in 2010. She had recently left him after enduring years of abuse. The crime, which left their three children without parents, certainly warrants punishment — but the death penalty was not appropriate in this case. The death penalty is given to just a tiny fraction of people who commit murder and is intended only for the most culpable defendants. Yet, the system continues to prove itself incapable of correctly deciding which defendants should live and which should die. At least nine of the men sentenced to death in North Carolina have been innocent. Many more — like Rodriguez — are people with disabilities, mental illness, and horribly traumatic childhoods that make them not the worst of the worst, but the most vulnerable among us. We’re hoping that, from now on, we can skip this annual ritual. Wake is the only county in the state where a defendant has been tried capitally every year for the past three years. Since the beginning of 2016, three of North Carolina’s 10 capital trials have been in Wake County. By contrast, Mecklenburg County — home to Charlotte — hasn’t had a capital trial since 2014. Why has a county where a jury hasn’t agreed to death sentence in a decade become North Carolina’s leader in death penalty trials? It makes no sense. It’s not as if a capital trial is the same as a non-capital one with another sentence option thrown in. Adding the death penalty to the mix transforms the entire process. The defendant has a right to two attorneys, the jury members must be chosen based on their willingness to impose a death sentence, the trial lasts weeks longer, and the process costs more than four times as much as a non-capital prosecution. There’s something else, too, that’s starting to get repetitive in Wake County. At every capital trial, it’s a black defendant having his fate decided by an almost entirely white jury. At the last three capital trials combined, there were only two black jurors. In fact, we got curious and looked back. 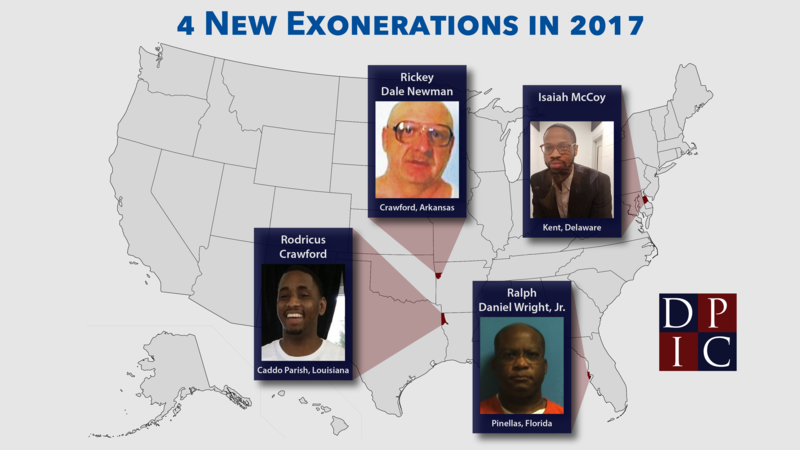 Of Wake’s nine failed capital trials since 2009, seven of the defendants were black. And during those years, several white defendants were tried non-capitally for high-profile crimes. Remember Jonathan Broyhill, Joanna Madonna, Jason Young, or Bradley Cooper? There are just so many reasons for North Carolina’s capital county to leave the shadow of the death penalty behind. Time to move on: Calls for death penalty fall flat in N.C.
Maybe you heard that N.C. legislative leaders called last week for executions to return to North Carolina. It’s one of the oldest political tricks in the book, whipping up fervor for the death penalty to score points with conservative voters. But in 2017, more than 11 years after North Carolina’s last execution, it’s starting to feel a bit retro. There were just four capital trials in North Carolina and juries rejected the death penalty at every one of them. This means N.C. juries have sent just one person to death row in the past three and a half years. Most N.C. district attorneys didn’t seek the death penalty at all, and some said they see no point in continuing to pursue death sentences. Life without parole is a harsh punishment suitable for the worst crimes. Four more U.S. death row inmates were exonerated, and a Gallup poll found death penalty support was at its lowest point in 45 years. A N.C. death row inmate won a new trial after the vast majority of the evidence against him was discredited. Michael Patrick Ryan, who has always claimed his innocence, is awaiting his new day in court to prove he was wrongly convicted in 2010. Other states that tried to carry out executions continued to botch them terribly and scramble for lethal drugs. In light of those facts, North Carolina looks pretty smart to have stayed out of the execution business for another year. The truth is, resuming executions would do nothing to solve today’s problems. Instead, we would be executing people who were tried 15, 20, or even 30 years ago — before a slew of reforms intended to protect innocent people and ensure fair trials. More than three-quarters of North Carolina’s 143 death row inmates were tried at least 15 years ago. As we look to 2018, let’s skip the outdated death penalty rhetoric and start looking for solutions that actually make people safer — like properly staffing prisons and supplying guards with working radios. The justice system said Henry McCollum was the “worst of the worst.” He turned out to be innocent. Since Arkansas shocked the world by trying to execute eight people in 10 days just to beat the expiration date on its lethal drugs, there has been more talk about the death penalty in North Carolina. Most recently, WUNC’s Rusty Jacobs did a piece on where the death penalty stands, almost 11 years after North Carolina’s last execution. It revealed serious concerns about executing innocent people, and explained why it’s far more expensive to execute than to sentence people to life in prison. However, one concept goes unchallenged in many stories about the death penalty: The naïve idea that the death penalty is used only in those rare, “worst of the worst” cases. Having spent my entire career up-close with North Carolina’s capital punishment system, I can tell you that’s not how it truly works. First, let’s look at the 147 people on death row in North Carolina. More than three-quarters of them were sentenced more than 15 years ago, during an era in which North Carolina had one of the highest death-sentencing rates in the nation — even higher than Texas and Florida. Far from using the death penalty only in a handful of the most shocking crimes, execution was pursued Wild West-style in nearly every first-degree murder case. During those years, we had a law unlike any other in the nation, which required prosecutors to seek the death penalty in every first-degree murder case with an aggravating factor. And, of course, the law is written so broadly that an aggravating factor can be found in almost any intentional killing. Prosecutors were required to push for execution without regard to mitigating factors, or evidence that pointed to possible innocence. Even they thought this was a terrible idea, and they recommended the law be changed. The General Assembly ended this requirement in 2001, but by then, death row had swollen to more than 200 people, more than 100 of whom remain there today. All of them were tried without the benefit of reforms intended to ensure fairness and prevent the conviction of innocent people. There was, for example, no requirement that confessions be recorded. In many cases, the state presented unreliable forensic testing and “junk” science, and defendants were sentenced to death by juries selected in a racially-discriminatory fashion. Some of them, like Henry McCollum and Leon Brown, were innocent. Most would never have received death sentences under today’s laws. These are the people who would be first in line if our execution chamber were to crank up. Next, consider how the death penalty is used today. Do prosecutors use their discretion to carefully cherry-pick death penalty cases? Absolutely not. In reality, our justice system runs on pleas. Prosecutors use the death penalty as leverage, to persuade reluctant defendants to plead guilty and accept life sentences. It works like this: The vast majority of murders are initially charged capitally, and pleas are negotiated from there. The theory is that a defendant facing the threat of execution is more likely to accept whatever deal the state offers. Pursuing the death penalty even when the prosecutor thinks the case is not execution-worthy makes a mockery of justice. Defendants who refuse a deal are often our most vulnerable clients: those who are mentally impaired, those who least trust their lawyers, or those who are innocent and refuse to plead guilty. People who refuse plea deals represent the vast majority of people who are tried capitally in North Carolina today. This means a defendant’s chance of facing the death penalty depends less on the crime than on a willingness to accept a life sentence without a trial. Often, several defendants are involved in a crime. Some accept a deal and get a life sentence, while another — maybe not even the most culpable — ends up on trial for his life. Juries can see that the people who go to trial are not the “worst of the worst.” Look at the two capital trials in North Carolina this year. Both defendants were offered pleas but insisted on going to trial. The first trial, in Wake County, ended with a verdict of life imprisonment. This marked eight times in a row that a Wake jury has chosen life over death. In the second, just this month, a Robeson County jury not only rejected a death sentence but refused even to convict the defendant of first-degree murder. He was found guilty of second-degree murder. Prosecutors might tell you they need the death penalty to punish the “worst of the worst.” But in practice, our state spends millions to pursue death sentences that are arbitrary and unnecessary, and uses the threat of death as a negotiation tactic — sometimes putting innocent lives on the line. Gretchen Engel is the Executive Director of the Center for Death Penalty Litigation.